£50 non refundable deposit is required to secure booking. Full payment is required no later than 8 weeks before holiday start date. Your welcome to pay your holiday off in instalments if you prefer. Once full payment is received we will send your paperwork out. We also ask for £50 security bond to be paid on top of holiday price which is returned on satisfactory inspection of van for damage/loss after your stay. 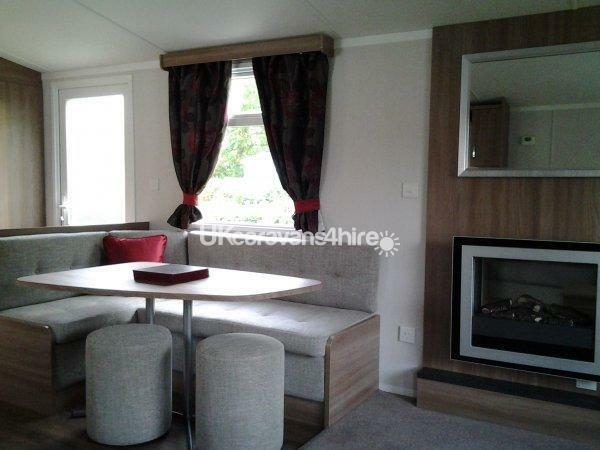 Our privately owned caravan is a Platinum graded fully central heated 8 berth caravan. 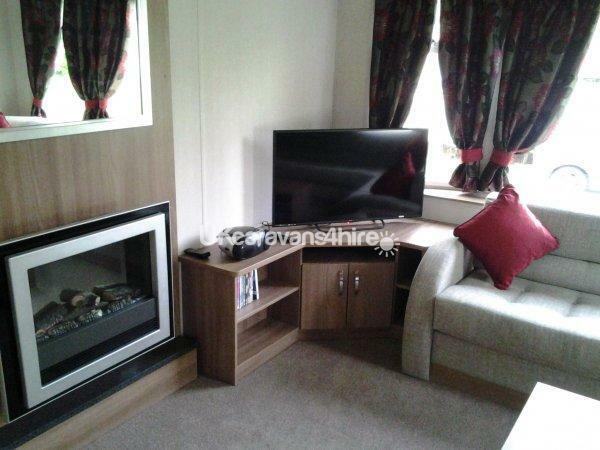 The van is located on the very sought after Paddocks area of the caravan village which is only a couple of minutes walk from the main resort. There is a 12ft x 8ft veranda on side of van with patio table chairs and umbrella. 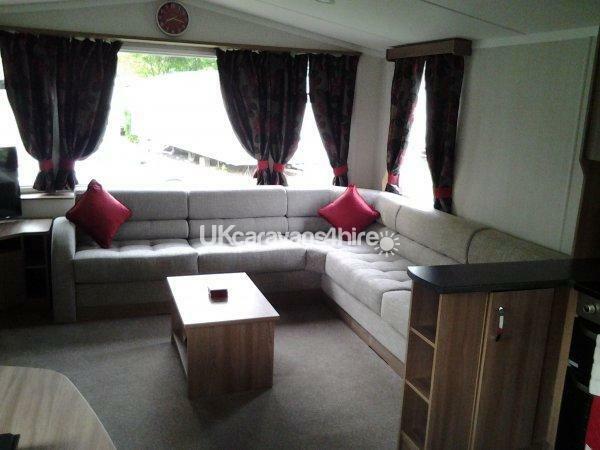 Lounge area has a fixed L-Shaped sofa with fold out bed. 40inch freeview TV with built in DVD. Wall mounted remote controlled electric fire. 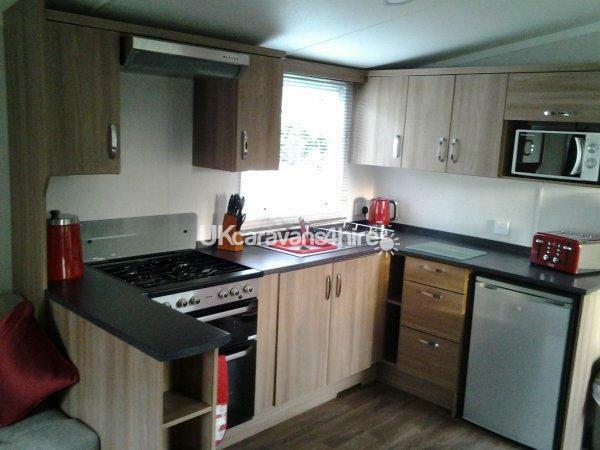 Kitchen is fully equipped for 8 people and has full size oven with 4 ring gas hob, fridge, toaster, kettle, microwave. Shower room has large shower tray with thermostatic shower + sink and mirror. 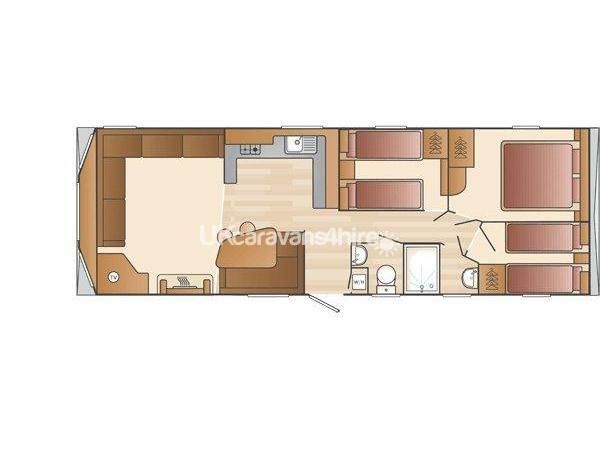 Van has a separate toilet room with sink and mirror. 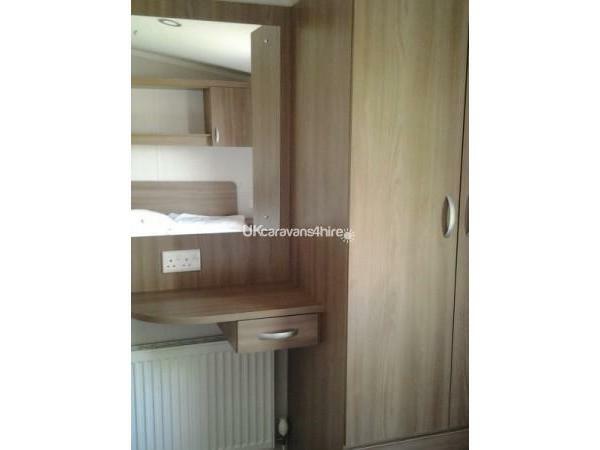 There is a double bedroom with dressing table, mirror, wardrobe and extra overhead storage. 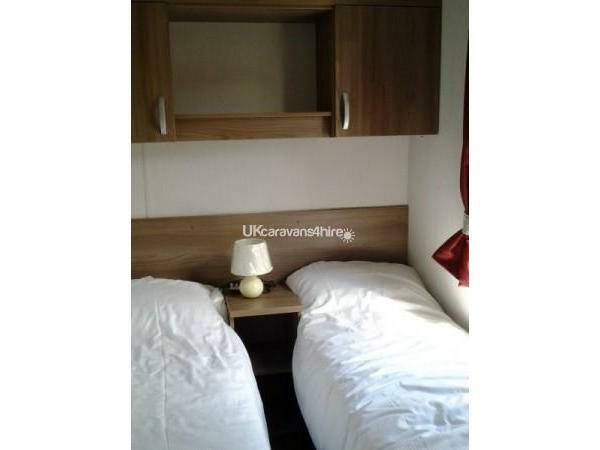 There are 2 twin bed rooms with wardrobes and extra overhead storage. 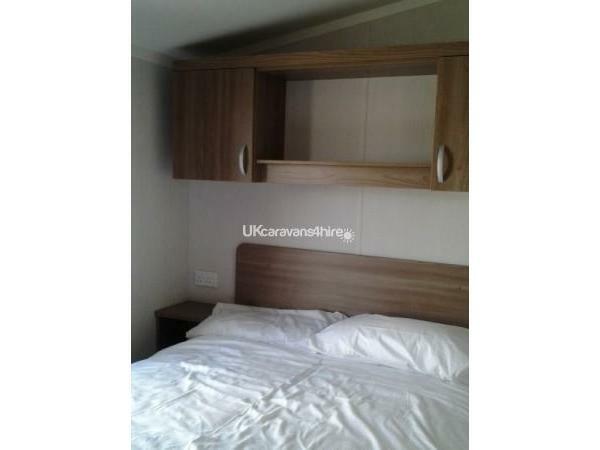 One twin bed room has fold away bed which is ideal if you need to put travel cot in. For your safety van is fitted with fire alarm, co detector and fire extinguisher which are checked yearly. Van is supplied with mattress protectors, pillows and duvets. You need to supply your own bed linen or it can be hired for £35. You would need to let us know at time of booking. Price of van comes with 2 adult and 2 passes. Extra passes can be purchased. No reviews found. If you have recently stayed in this holiday home please leave a review, it only takes a few moments and will really help future guests when they are searching for holiday accommodation at Butlins Skegness.